Hello Girls! Happy April Fools' Day! I am back with a review on lip products. I have to say lipstick is one of my favorite product to review because we could see right away how it looks like on our face. 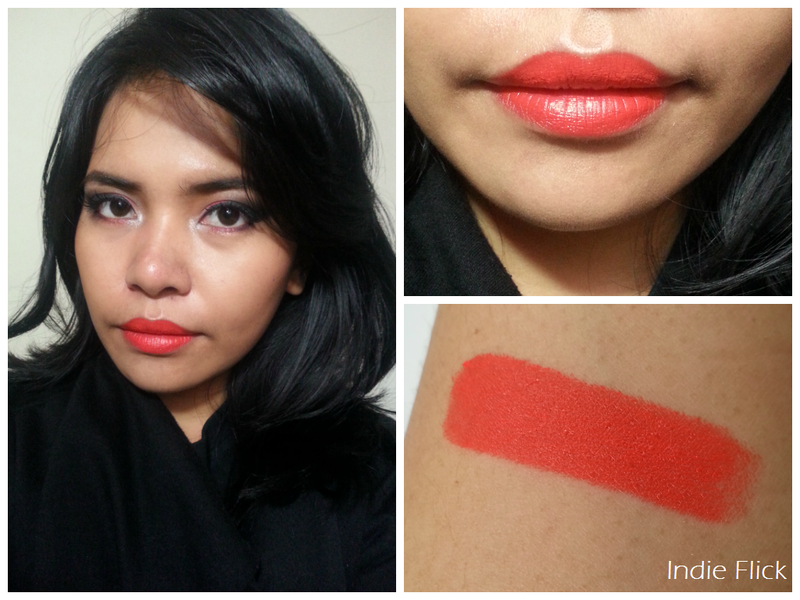 And today I want to share with you all my thought on NYX Matte Lipstick. I have got these lipsticks since last year and have been wearing them several times, all the colors that I picked are the bright ones as you see in the pics. So lets jump to the review! Yeehaa! From the outside the package looks simple and slick, but wait until you hold it in your hand, you would realize how cheap it feels. The packaging is plastic and somehow was poorly made, because when I apply it to my lips, I need to twist the lipstick all they way up to prevent it goes back inside the tube due to the pressure of my lips. And I am worried, if I do that often it might break the lipstick. 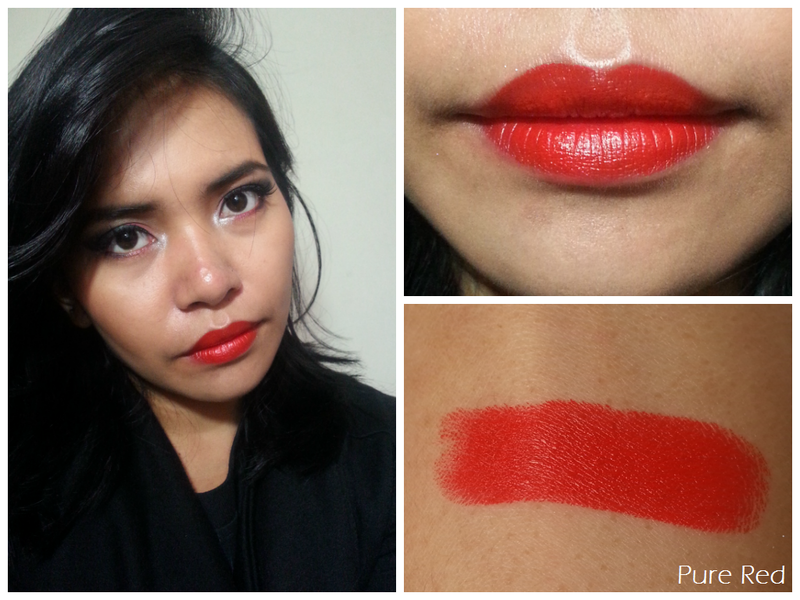 Even though it's a matte lipstick, it has a creamy formula that glides easily on my lips. I noticed it doesn't as smooth as NYX Black Label Lipstick, but it also does not thug my lips like some other matte lipstick do. It feels light on the lips and not drying at all. The pigmentation is great, and it has a little bit stain effect. 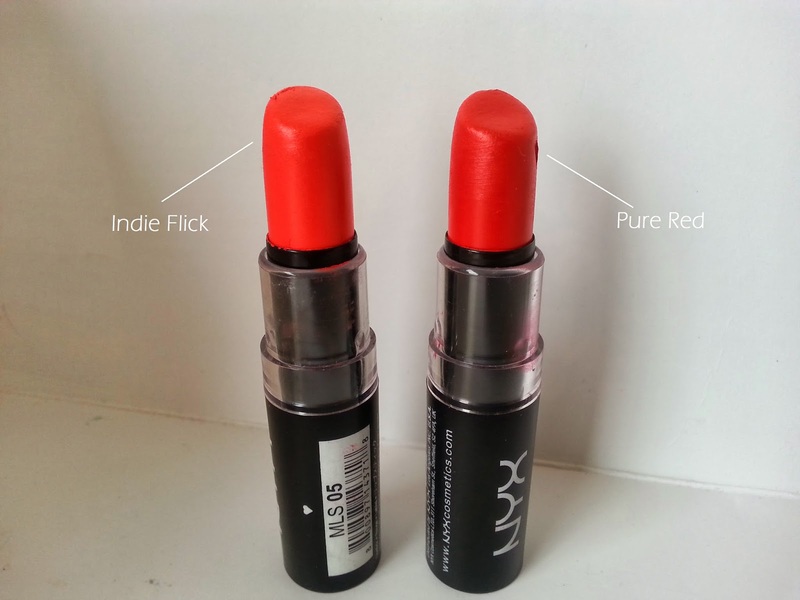 Indie Flick is a coral/orange red that's very beautiful and bright. It's so bright that I don't wear it often. It's matte and has a thicker consistency, will look prettier for people with fair skin. Pure Red is definitely my kind of red! It is not fully matte and has a little shine to it. Glides easily on the lips. This color is perfect for day/night time. For the price, I think NYX Matte Lipstick has the quality. 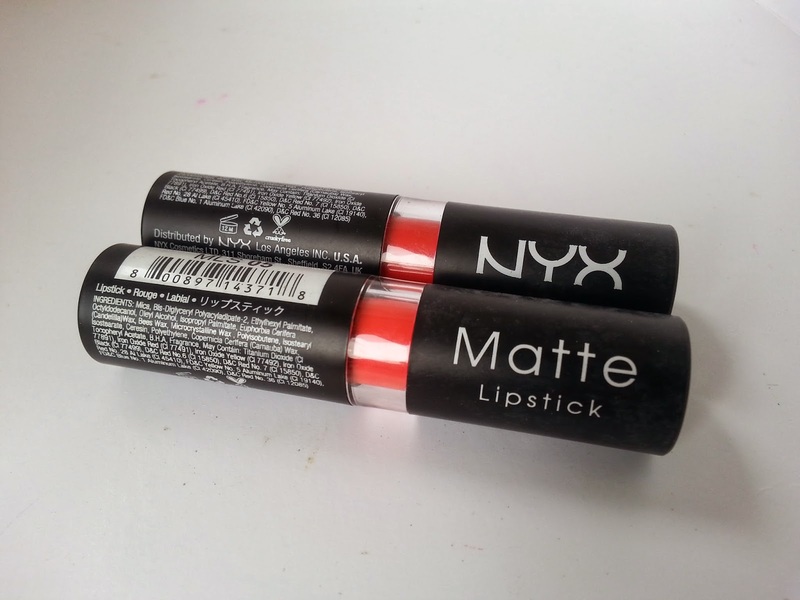 Compare to Wet n Wild matte lipstick, I would definitely pick NYX. The packaging is a turn off but the color and the formula is worth to try. I don't think I've ever cross other matte lipstick that as good as the NYX Matte Lipstick. I've heard this line has so many beautiful colors, and hopefully I could try some of them in the future. Ahhh mbak aku ga pede pakai lipstik merah gonjreng begini, takut dangdut banget hahaha kulitku suka dangdut gitu deh sama lipstik merah yg cerah LOL! Di kamu bagus gitu yak jadinya, jadi iri -_-"
aww Maelle! thanks so much! u are so sweet!